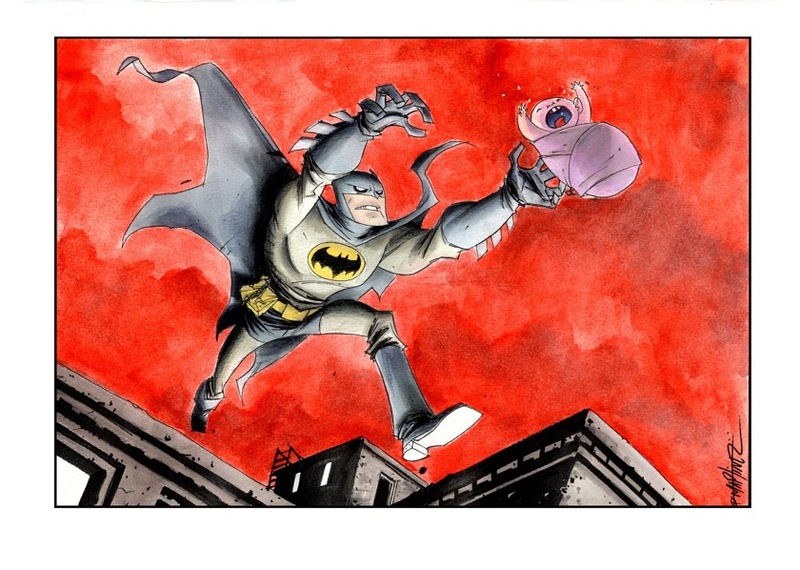 Today's Geek Art comes from Deviant Art user RM73, and it's a fun image of Batman clearly jumping off a roof to save a baby. Go Batman! The piece was created using water color and micron pen on watercolor paper.